Here is another of the Uxbridge allocated RF buses, seen in the summer sun of 1971, the year in which UX garage saw the welcome return of these stalwart performers, having lost them previously in 1962 in favour of RT double deckers. 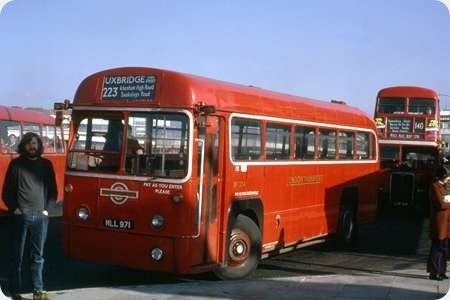 RF 334, MLL 971 stands at Heathrow Central on route 223, in the close company of RT 4182, LYF 241, on route 140. I know not the identity of the bohemian gentleman who seems to be reflecting upon the sanity of someone wishing to photograph a bus. Tillingbourne operated five ex London Country RF buses between 1971 and 1973, RFs 233, 254, 595, 680 and 699, and these I drove at weekends. Acceleration from rest in second gear was rather sedate, and the cab was a bit restricted (the RF was 7ft 6ins wide) but the vehicle felt like a true thoroughbred. The RT and RM families suffered the derating of their engines to 115 bhp, but I believe that the RF retained full engine power, which, in the case of the 9.6 litre horizontal A219, was 120 bhp. I was once told by the owner of a preserved RF that, according to the drawings in his possession, they are actually only 7ft 4ins wide. GTY 169; 39, one that Chris Youhill will no doubt recognise, but not in this livery. 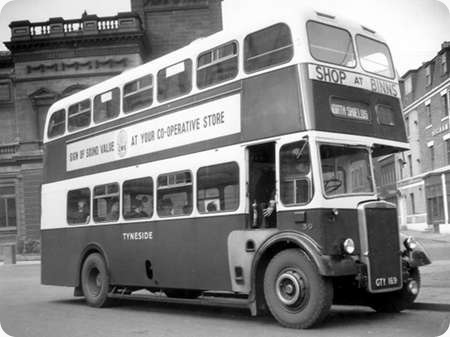 It was one of nine H32/26R MCW Orion bodied Leyland PD2/12’s delivered to Tyneside in 1954, GTY 169/177 numbered 39/47. Shortly after they were delivered, the number plates were moved from the radiator to the front panel under the windscreen, so the photo must be 1954. They remained in service until 1966, and all of them had a second life. 41/2/5/6&7 remained with the NGT Group. Four of them became Driver Training vehicles. But 47 was turned over to the engineering department. It was cut down, and at first it became a mobile workshop/towing vehicle, it later became a ’tree lopper’ and was still around in 1980. Thx, Ronnie, for the interesting photos showing the story of their lives. I’m intrigued about tree-lopping. 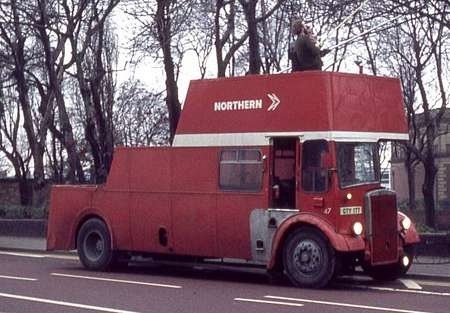 This always seemed to be done by bus companies originally, witness the number of tree-loppers around in past times, but I don’t know who does it now, if anyone at all, by the looks of some deckers’ front domes! Was there originally any statutory requirement for bus companies to do this and what is the current situation? David, I think you’re correct: where trees over-grow private or public land then the owner or any member of the public has the right to cut back over-hanging branches to the boundary . . . as long as they offer any severed wood back to land-owner on who’s land the tree stood. According to James Freeman’s history of King Alfred Motor Services the company were, after a rather too enthusiastic/dramatic session, prohibited from lopping trees in Winchester by the local authority – after which the tree-lopping vehicle was lain up within the depot. Within my locality of the old Aireborough UDC there is evidence of tree-lopping, but I’ve never seen anybody doing any . . . and I can’t believe First or Centrebus/Yorkshire Tiger would bother to keep the resources themselves. The current legislation concerning the obstruction of the public highway by trees may be found in the Highways Act 1980. The responsibilities lie with the Highway Authorities, but there may often be a delay in the carrying out of remedial action. Clearances should be 2.4m over a footpath and 5.3m over a roadway. Even trees covered by a preservation order are required to comply, but only the very minimum amount of pruning is acceptable in such cases. In the past, many, if not most of the larger operators kept their own tree cutting vehicles to minimise the expensive damage to roof domes, but, in the aggressively profit driven bus industry of modern times, this "avoidable cost" has long since been expunged from the P/L account. The big groups of today seem to have no pride in fleet presentation. And, Roger, there’s the ever-present "Safety Elf", who says it isn’t safe for company staff to do the work, even without the operator’s legal advisers who worry about being prosecuted by the trees’ owners! 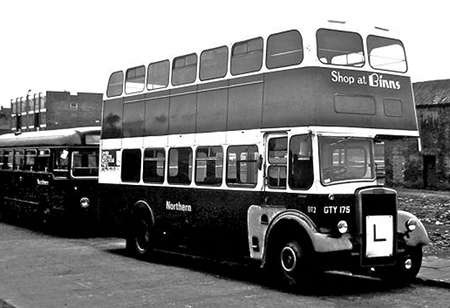 Most modern double deckers now have tree guards on the nearside (or on both sides) to protect the front windows and bodywork from damage by trees. There are now vastly more trees near roads (and railways) and little attempt seems to be made to keep them cut back. Geoff. This was the problem which Network Rail had with the big storms last Winter. Trees on embankments were falling like mad and trains were having to move slowly to avoid accidents causing chaos. In steam days, trees were cleared to avoid sparks setting light to them. And grass verges seem to be getting overgrown now. The other day, on a bypass, foliage was brushing the side of my car and I was 12" away from the kerb! There is another aspect of overhanging trees and bushes not being cut back by anyone (owners, local authorities, highway agency of bus companies). That is the fact that at road junctions, road signs and / or traffic lights are being hidden from view until the motorist is nearly on them. If driving on an unfamiliar road, and looking for directions, this can be particularly hazardous. Sometimes I wish I had access to a certain company’s Guy Arab tree-loppers, and take a crew along some of our main roads. (I refer to Southdown 460/461 – the only way this modern day comment can count as being relevant to this site!). Yes, Michael, the Guy Arab tree loppers. 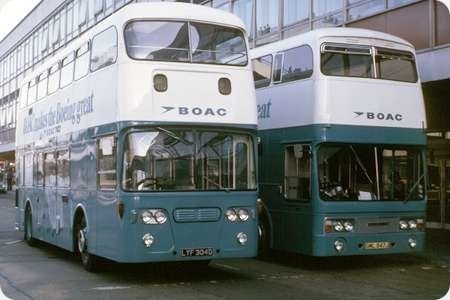 I also recall they had a Queen Mary one and a Bristol VR the latter in yellow with blue trimmings (genuine Freudian slip, this!). Sad that Portsmouth Corporation never had need of one. Wonder what they would have converted if they had? I’d have wanted one of their TSM’s! Chris – Your dreams have come true. Portsmouth Corporation did have a TSM tree lopper. 80 RV 1143. The vehicle was stolen from Eastney depot, and driven through the Fareham Railway arch. I have vague recollections of it attending to the trees in Stubbington Avenue around 1950. Now THAT really is news to me, Pat – wishful thinking come true! I wonder if any photos exist of it in that state. My post of one of CPPTD’s TSM’s, in the second photo, shows 80 in original condition. Reading the various comments about tree lopping brings to mind an incident I became involved in on the A591 alongside Thirlmere lake about 1975 a section of road very much in the news at present where 9 landslides occurred as a result of the very heavy rain. I was a haulage contractor at the time operating a Foden S80 cabbed 8 wheel bulk animal feed blower which had a high box body with catwalk down the middle. Early one morning travelling through the Lakes to a farm in the Ulverston area I was flagged down by a Ribble driver and an inspector parked hard against the tree covered mountainside. They asked if they could climb on top of my lorry and try and cut off a broken low hanging branch that had been striking double deckers on the 555 service. They had thought they could stand on the roof of the Marshall bodied Leopard they had and cut the branch off but found they could not scramble onto the smooth curved roof from the high roadside embankment. Elf n Safety at its best !! However I took the bushman saw they had and knowing where to tread on top of my load was soon able to reach the branch and quickly cut it off. Just another episode of driving lorries and buses through the lakes.